ASTEROCERAS PROMICROCERAS FREESTANDING - JURASSIC LYME REGIS. 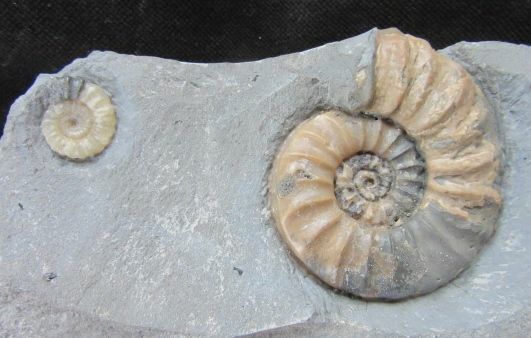 Asteroceras obtusum Sowerby & Promicroceras planciosta Sowerby. 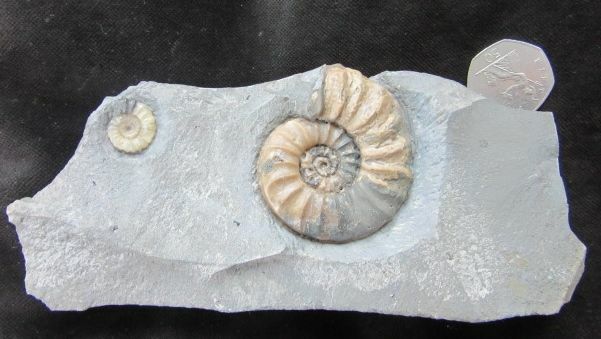 Base cut free standing block of grey limestone with two beautifully preserved calcitic 3D ammonites. 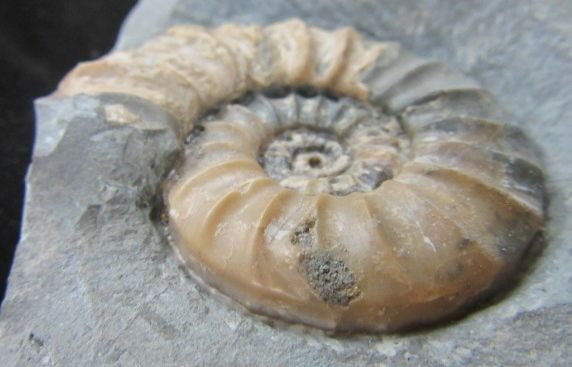 Asteroceras and Promicroceras are the two 'classic' Lyme Regis Ammonites. Nice display piece of both species. Jurassic, Sinemurian, Charmouth Mudstone Formation, Obtusum Zone. 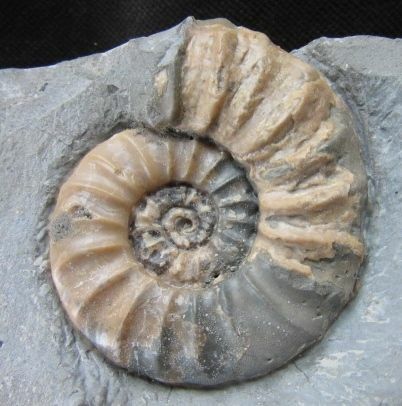 Asteroceras : 5.7 cm. diam. 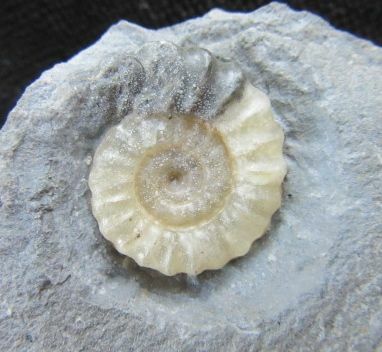 Promicroceras : 1.5 cm. diam..